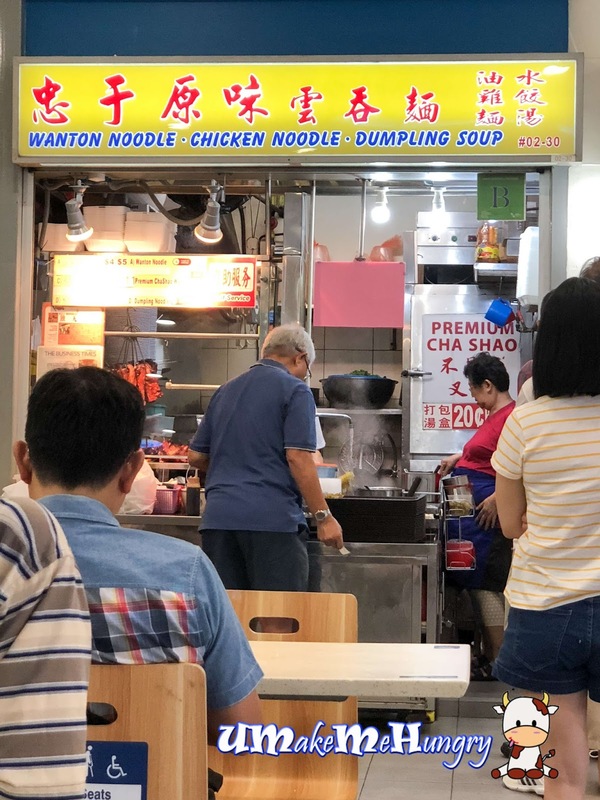 Having your Wanton Mee Fix? He was talking about wanting to eat "不见天" (Literally Translated means Cannot See Sky) and I was puzzled about the name of the food till it was further explained. 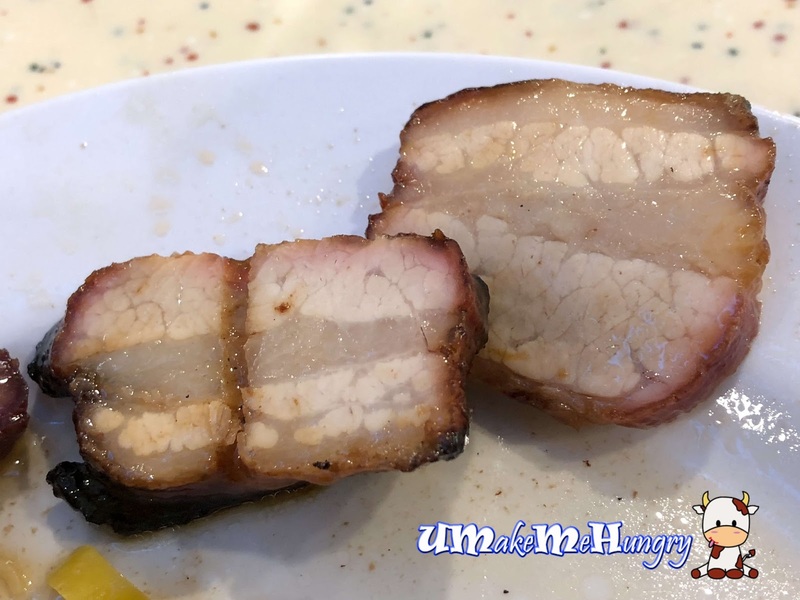 不见天 is actually Char Siew Meat, a quirky term they use to describe the "armpit" of the Char Siew Meat. When you hear of that, Pork Armpits, do you even want to try? To avoid disappointment, we were there very early at 7am plus on a Sunday morning as we were told that 不见天 usually sold out faster than its usual Char Siew meat. It is considered as the premium meat between the belly and shoulder, whereby such cut of the meat tends to be more succulent and tender thus the price for a plate of Wanton Noodle costs more. By the look of the Pig's Armpit, it was well caramelized and barbecued. We can even see the distinct layers of meat and fat. 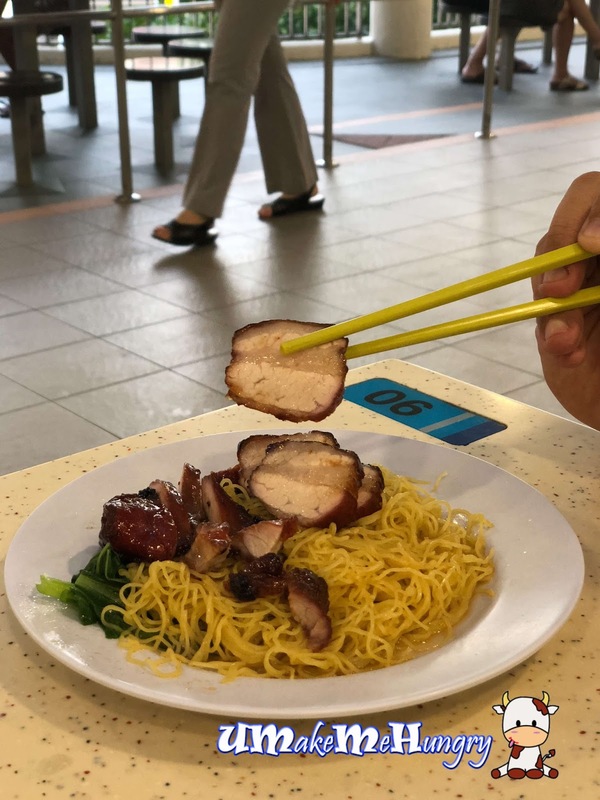 Its definitely a bang for the buck if you are looking Char Siew that is outstanding from a plate of Wanton Mee. Can you Spot the Premium vs the normal order? The stall has a very good policy. It allows handicap elders, pregant ladies and those carrying infants to skip the queue.